Hungary unveiled today seven pieces of the famed Seuso-treasure, the most significant late Roman find of goldsmith works ever found in excavations. The seven decorated pitchers, platters and bowls were unveiled by prime minister Viktor Orbán today in the Parliament of Hungary. 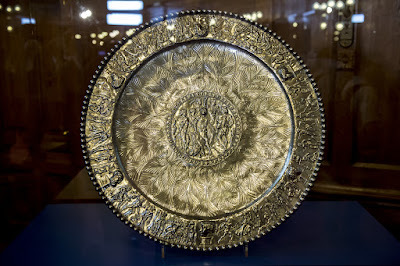 It was announced that this half of the treasure was recovered by Hungary at the cost 15 million euros ($20.67 million). 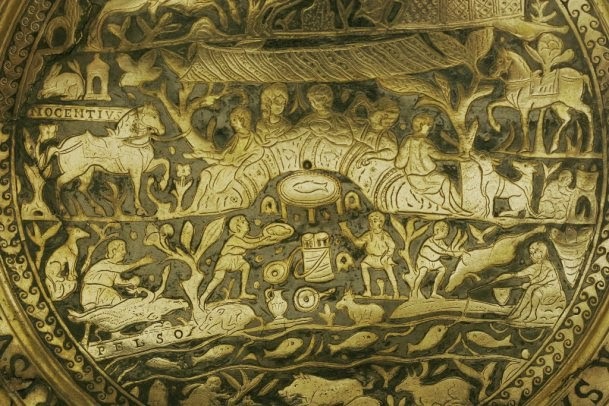 The objects were dug up near Lake Balaton (=Pelso) in western Hungary in the 1970s and then smuggled to the West and not seen in public until a 1990 auction in New York that failed because of a dispute over where they were found. 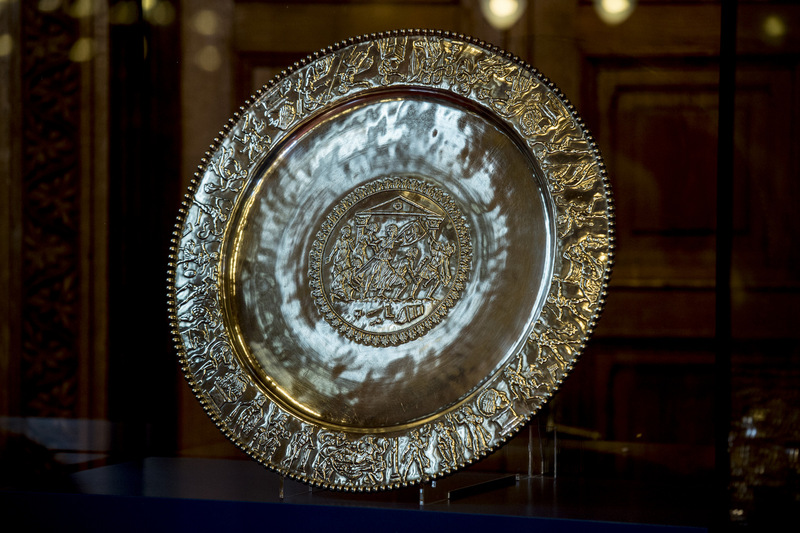 The pieces were owned by Lord Northampton, who had purchased them between 1982 and 1990, but was unable to sell them because of the contested origin of the objects. Hungary has always claimed the treasure as its own. 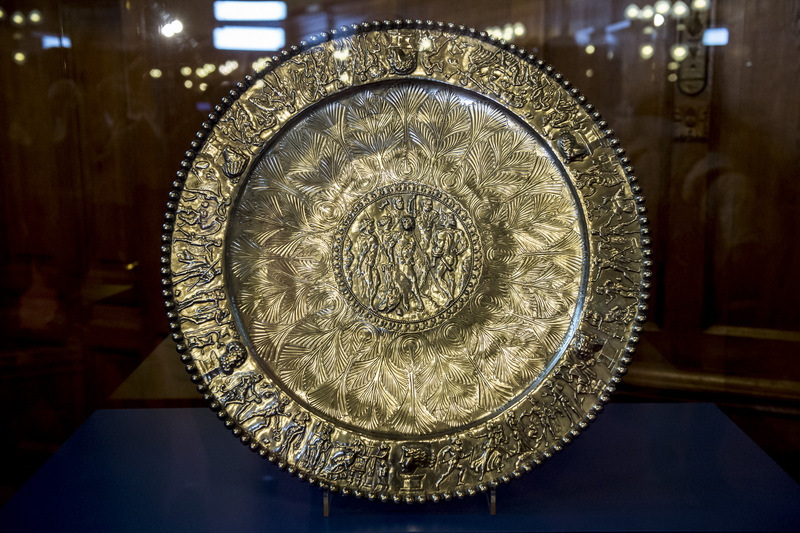 Part of the treasure was, however sold by him, and the new owners - two people described only as "British siblings" - contacted Hungary with a view to making a sale, Hungarian officials said. 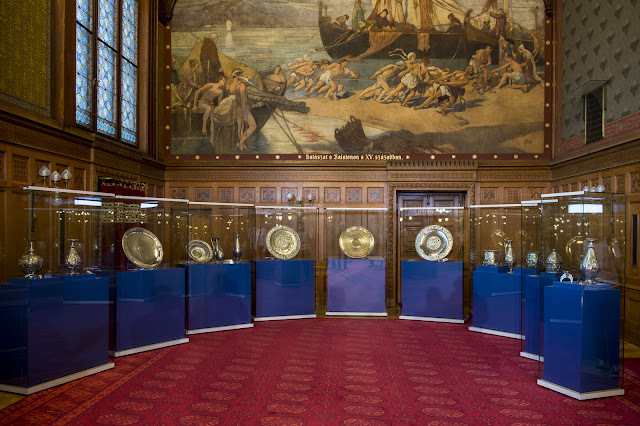 "Hungary has reacquired and brought home seven pieces of the invaluable treasure," Orban said. "It has always belonged to Hungary. This is Hungary's family silver." 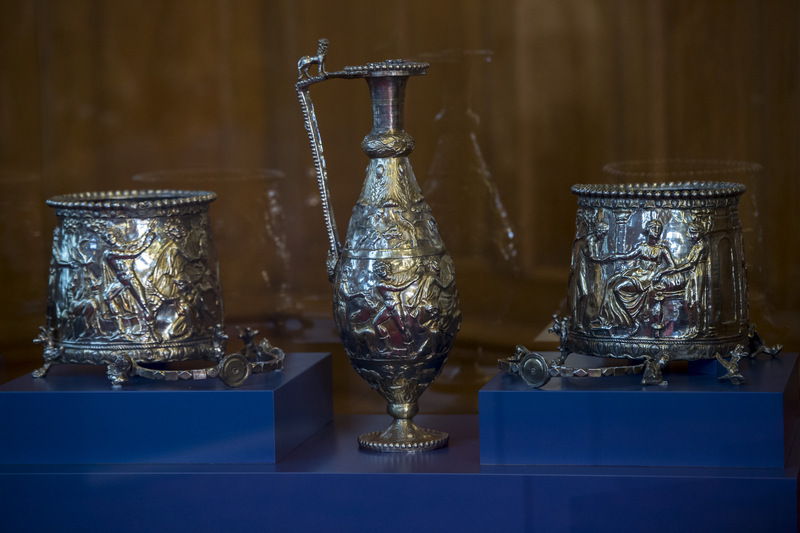 The treasure was named after a high-ranking Roman officer, Seuso, who probably buried his silver vessels before a military attack at the end of the 4th or beginning of the 5th century. Today, 14 pieces of the treasure are known, but presumably more pieces were found originally. 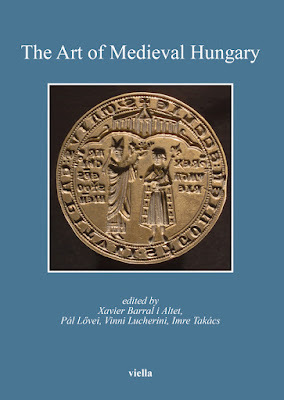 If you would like to know more about the treasure, I recommend this article by Zsolt Visy, one of the researchers working on the objects, or this study by Zsolt Mráv from a recent volume of studies. The English-language Wikipedia article has already been updated to include today's news. More publications are sure to appear now that at least part of the treasures will be accessible to researchers. The objects will remain on view at the Hungarian Parliament for the next three months - their future placement has not yet been disclosed. More information is available on the website of the Government of Hungary. The Government website also published photos of the objects recovered by Hungary, these you can see below.